The term vitamin B-12 is a generic for a group of compounds known as cobalamins. There are three forms of B12—cyanocobalamin, methylcobalamin, and hydroxycobalamin—found naturally, most often in healthy soils. Among the most important functions of B12 in the body is that methylcobalamins are necessary to keep homocysteine levels in balance. When these levels become too high, this can be toxic to nerves and blood vessels. Some of the first symptoms of a B-12 deficiency are neurological such as depression, memory loss, tingling in hands and feet, paranoia, even diarrhea and inflamed mucous membranes. Since cobalamins are related structurally to hemoglobin, a B-12 deficiency can also cause certain types of anemia. A low dietary intake of B-12—simply not consuming enough—can be a cause of deficiency. But often the culprit is poor absorption, attributable to insufficient stomach acid. B-12 uptake in the small intestine may be blocked by putrefaction from an unhealthy or high-protein diet. A person on a standard diet stores about 2000 to 3000 mg of vitamin B-12 a day in the liver and muscles. Our bodies secrete about 2 mg of B-12 a day through the bile into the small intestine. From there, about half is reabsorbed by the body. That, at least, is the conventional view. There is, however, a different opinion. Dr. Brian Clement, a raw food promoter, studied anatomical diagrams of human intestines, going back as far as 300 years. He discovered some startling facts. Many people were eating a natural, organic and largely plant-based diet through much of this time. The ascending colon was shown to protrude inward in the shape of a boot where it went down near the ileocecal valve. This little boot-shaped pocket was where the digested food, with all its B-12 intact, actually cultured and recreated itself. Somehow, during the 20th century, diagrams began to show a drastic change. Now, where the little boot-shaped pocket had been, the ascending colon went straight up and down, with nothing but a little, shriveled-up piece labeled the ‘appendix.’ The ‘appendix’ had actually once been a vital part of the digestive and lymph systems. As part of the lymph system, it helped filter out toxins. As part of the digestive system, its secondary function was to secrete a lubricant to assist with moving food along the digestive tract. No one knows why this change in structure happened, but it apparently began from about the year 1700 onwards. 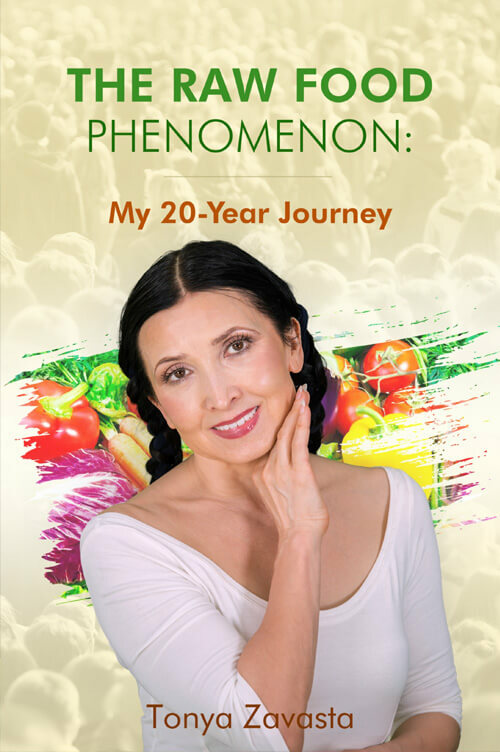 According to this theory the body no longer had the means to culture its own source of Vitamin B12, and consequently it is now necessary to either supplement or assure in some other way that a source of B12 is always present and being absorbed by the body. Even though some raw foodists seem to stay healthy on the raw vegan diet without B12 supplementation, they key is that it is only some, so this issue is too serious to ignore. Be sure you get well educated. One solution is B-12 supplementation. But it’s not without a risk either. 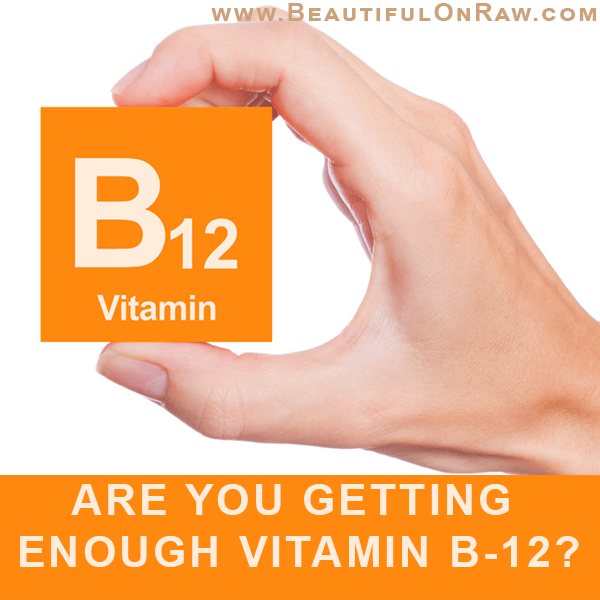 One man I know was supplementing with Vitamin B-12 because, after all, it’s a good idea to prevent deficiencies—right? But this man began to experience burning and tingling in his hands and feet, as well as itching skin. A brief internet search for something completely unrelated happened to give him the answer: He was overdosing on Vitamin B-12. When he stopped supplementing, his symptoms vanished. B-12 supplements are certainly not the answer for everyone. There are other ways. 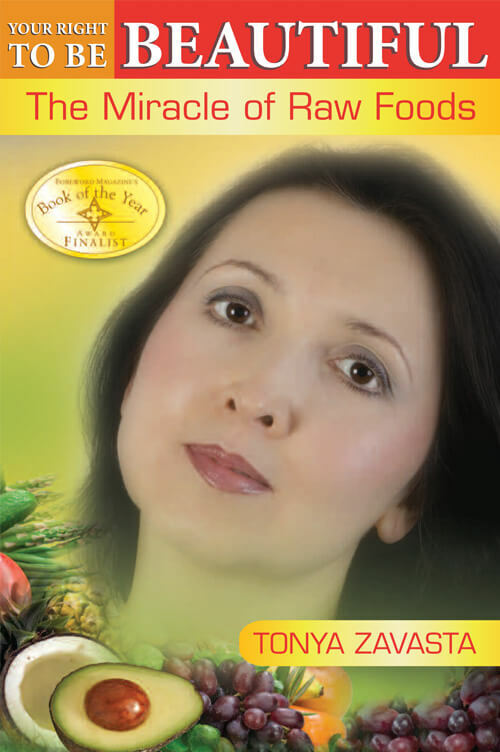 I’ve encountered several raw food aficionados who have managed to cure themselves of certain deficiencies and gain needed weight by incorporating raw eggs into their diets. 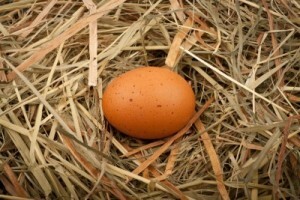 Raw eggs bring many of the nutrients that some raw vegans seem to have hard time absorbing from raw produce. Eggs might be a possible source of B-12 for you. Here’s an option for people opposed to supplementation—just eat 1 or 2 raw egges every other day to be sure you’re getting your B-12. In this way, you can stay 100% raw and avoid any packaged supplements. But of course, if being 100% vegan is critical for you, this will not be an appropriate choice. But aren’t raw whole eggs yucky? Nonsense. The idea’s already familiar, even in conventional culture. Folks of middle age or better may recall that, at the Orange Julius stands once popular in malls, adding a raw egg to your orange juice was a popular option, offered right up there on the menu. And the traditional holiday treat, Egg Nog uses raw egg. Try what I do in the winter months when seasonal fruit is not as abundant: add a one whole raw egg to your smoothie—you’ll find it adds no objectionable taste, and indeed adds a pleasant creaminess. I like to add one whole egg to my favorite Banana Hemp Shake. Recent salmonella scares bring the question to mind. But the answer is: Exercise good consumer judgment. 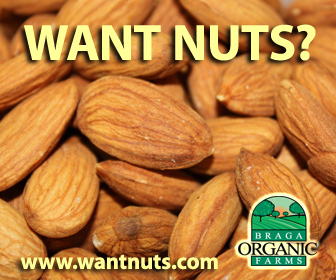 Buy from a reputable organic foods source you trust, and stick with it. What should you do about vitamin B-12? There’s no one pat answer that goes for everybody. One thing’s for certain, though: Better safe than sorry. Now, some people just say no to eggs. For some of these, this principle is just a corollary to being strictly vegan. But note: A vitamin B-12 deficiency is a pretty darn serious prospect. I urge: Put aside arbitrary convictions. Choose health. If B12 supplements don’t work for you, don’t risk your health. Stay open to the practice of raw eggs, for the very sake of making 100% raw totally safe. 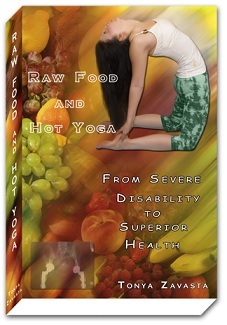 Read Raw Food and Hot Yoga for more information on B-12.